From Westminster, Calif. to the farthest reaches of America’s East Coast, blood clots claim the lives of 300,000 people every year. As students quickly learn in phlebotomy courses, blood is essential to the human body. When a clot restricts the movement of blood, the health consequences for the victim can be severe. Fortunately, not all blood clot victims die. In fact, the majority of embolisms are eminently preventable. As with everything in life, knowledge is power. 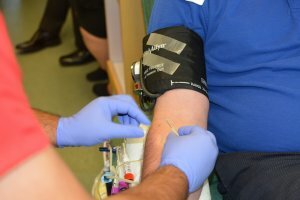 Phlebotomy courses teach students in Westminster extensively about the human circulatory system, but not everyone has the opportunity to attend such classes. In the absence of professional instruction, take a look at the truth behind some of the more common blood clot myths. Myth 1. Blood clots only happen to older patients and those with poor health. Perhaps the most prevalent myth is that blood clots only happen to patients who are older or in ill health. This is simply untrue. In places like Westminster, everyone is at risk of embolism, even those who live an active lifestyle and are in their physical prime. Myth 2. DVT?? What’s that?? It can’t be that serious. Deep-vein thrombosis (DVT) is a serious and underdiagnosed medical condition resulting from a blood clot that forms in a vein. Blood clots generally originate in the legs. They can be exacerbated by long periods of inactivity. Travellers who regularly make long journeys on cramped airplanes can be at a higher risk of blood clots than those who don’t. Blood clots deep in the legs (DVT) can be painful and inconvenient, but they don’t typically result in death. If caught early, doctors can treat them with relative ease using blood thinners. Most patients in Westminster recover fully. Problems arise when an embolism breaks apart and moves from the legs to the lungs. Although phlebotomy courses can help teach ways to prevent blood clots, a resulting pulmonary embolism (PE) can be potentially fatal. Myth 3. Me? Get DVT? No way! About 900,000 people are affected by DVT or PE each year in the United States, and up to 100,000 of them die of DVT/PE. DVT can strike anyone and can cause serious illness, disability, and even death. Risk of DVT increases for those having major surgery, for those with cancer or heart or lung disease, for those on birth control pills, and for those with a family history of DVT. Myth 4. I don’t need a blood thinner! I’m not having a coagulum! Another common myth is that blood thinners only need to be administered to those currently experiencing a coagulum. Unfortunately, this too is false. If a recovering patient goes off blood thinners too quickly, the clots can remain or even break up further. In fact, new clots can form as a result. Myth 5. Blood clots most often occur at home or during travel. Many people believe that blood clots most often occur at home or while traveling. Students in phlebotomy courses know differently. In fact, blood clots occur more often in hospitals than anywhere else. Myth 6. I stay active, and am in great shape. I don’t need to worry about DVT. The truth is, just about anyone can be affected by DVT, no matter age or level of activity. Athletes are actually at increased risk after a recent physical injury, when dehydrated, or are traveling long distances for events. Myth 7. Birth control pills will give me DVT. There is definitely a higher chance of blood clots for those on contraceptive meds (this is because of a boost in estrogen), but most women on birth control don’t have any complications. Obese women, those who are older than 40, and those who smoke actually have a higher risk of developing clots. Managing weight, maintaining a healthy diet, and consulting with a physician about birth control medications can be a huge help. Myth 8. Women are at greater risk of DVT. Women do have an increased risk of blood clots while on birth control or pregnant, but it is actually men who have greater occurrence of DVT and PE.